Salman Khan painted two huge portraits of Aamir Khan which were unveiled in front of the media by Ghajini starlet Asin in a South Mumbai mmultiplex. These two paintings are Salman’s interpretations of the character Aamir plays in his Ghajini — one represents a stately figure, the other symbolizes angst. This is not the first time that Salman has painted his fellow actors, but this is the first that he has painted an actor’s character connected to a film. It took him around two weeks to finish the paintings. 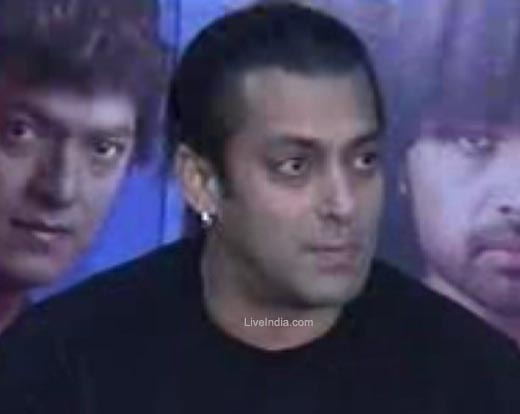 Salman Khan being an avid painter is a fact that's now as old as the hills. The brawny actor is known to even gift his exquisite paintings to those whom he considers truly special. The latest person to benefit from Salman's generosity and love is none other than Aamir Khan. 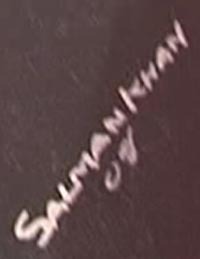 Aamir and Salman have been good friends for a while now and the story goes that Sallu was so impressed by Aamir's performance in his latest flick ‘Ghajini’ that he decided to gift him two special paintings, done by Salman himself of course. 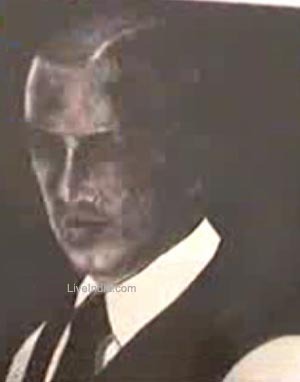 The paintings, in keeping with the somewhat dark theme of the film, are in black and white and a noticeable aspect of both the paintings is the fact that both of them depict Aamir's by-now-famous ‘Ghajini’ hairstyle. 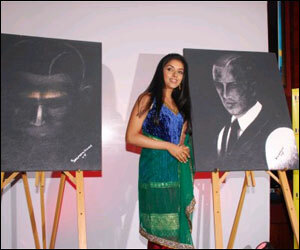 The paintings were unveiled at a special function at a Mumbai multiplex by ‘Ghajini's’ lead actress Asin. For those who came in late, Asin not only stars opposite Aamir in ‘Ghajini’ but also plays the romantic lead in the Salman Khan- Ajay Devgan starrer ‘London Dreams’.